this case has a clear front and back so you can use all the touch screen functions, including all camera functions. Also suitable as a waterproof wallet for your cash and passport or a dry bag for other devices such as an MP3 player or GPS. 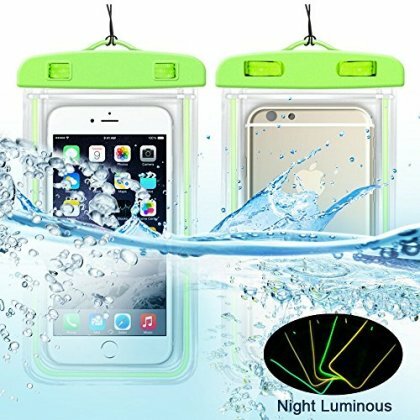 Night luminous design; phone in the bag can be found even dropped in dark water.